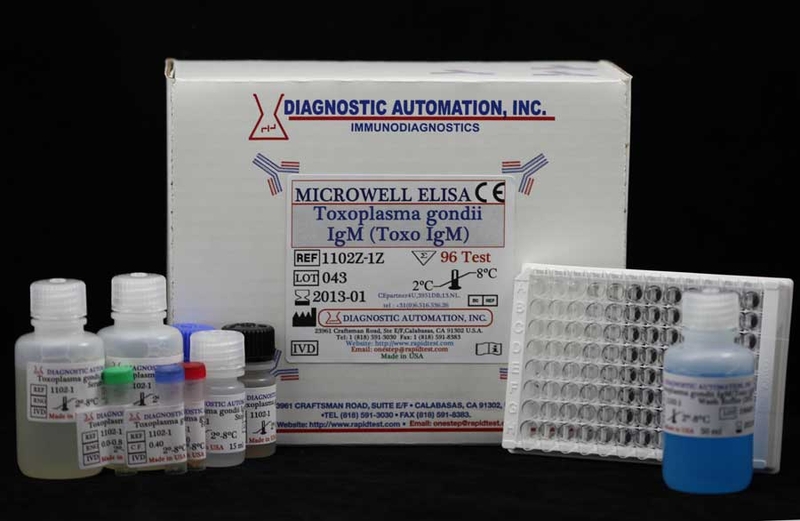 The Diagnostic Automation Toxoplasma IgM is intended for use in the detection of IgM to Toxoplasma gondii. Purified Toxoplasma gondii antigen is coated on the surface of microwells. 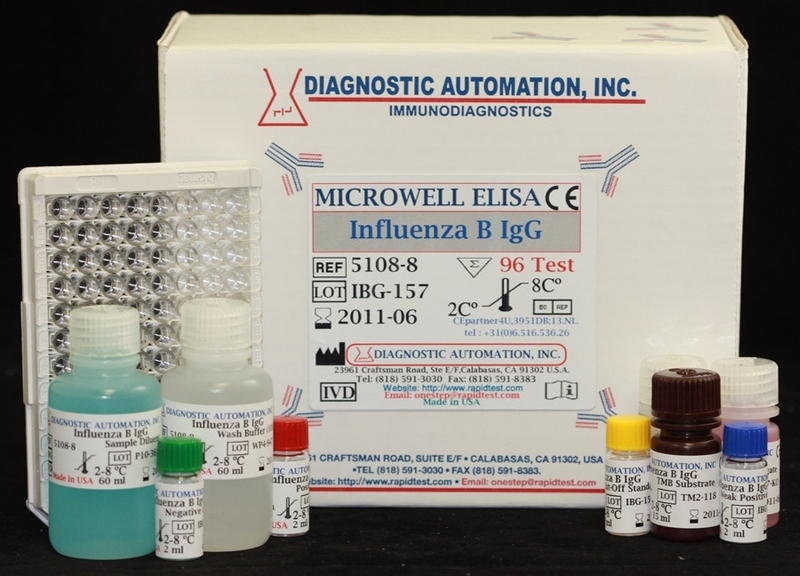 Diluted patient serum is added to wells, and the Toxoplasma gondii IgM specific antibody, if present, binds to the antigen. All unbound materials are washed away. After adding enzyme conjugate, it binds to the antibodyantigen complex. Excess enzyme conjugate is washed off and TMB Chromogenic substrate is added. The enzyme conjugate catalytic reaction is stopped at a specific time. The intensity of the color generated is proportional to the amount of IgM specific antibody in the sample. The results of the toxo IgM test are read by a microwell reader compared in a parallel manner with calibrator and controls. 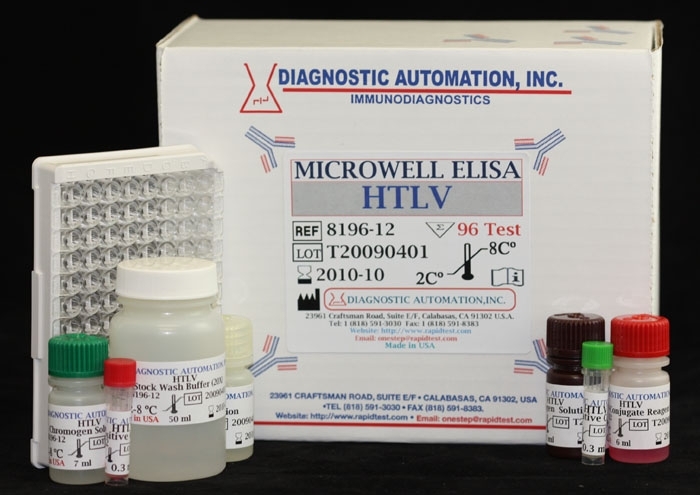 For more information about the Toxoplasma Gondii Test, ELISA Kits, Rapid Tests, IFA Kits, CLIA Test Kits, or Serology tests, please see our website home page, or contact our Customer Service Representative at 818-591-3030. 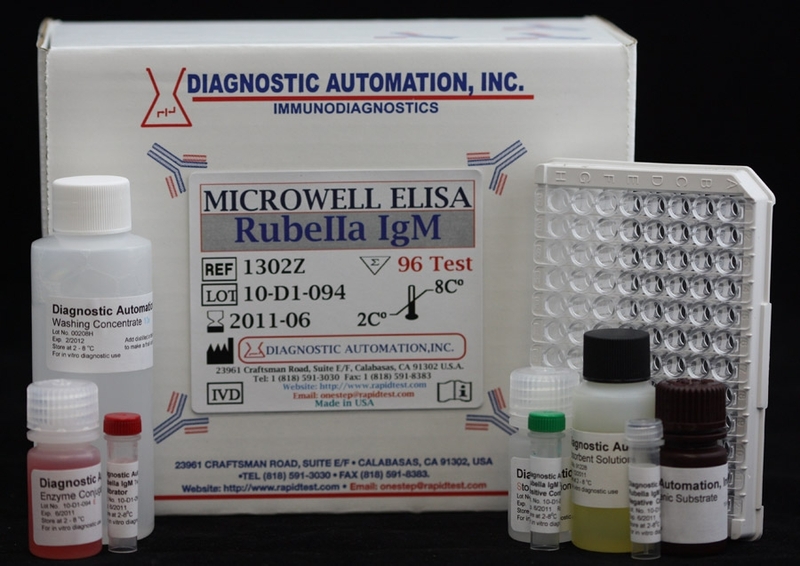 When using DAI Toxoplasma IgM ELISA, store serum between 2 and 8 C if testing will take place within two days. If specimens are to be kept for longer periods, store at -20 C or colder. Do not use a frost-free freezer because it may allow the specimens to go through freeze-thaw cycles and degrade antibody. Samples that are improperly stored or are subjected to multiple freeze-thaw cycles may yield erroneous results.